What Have You Done to Solange? 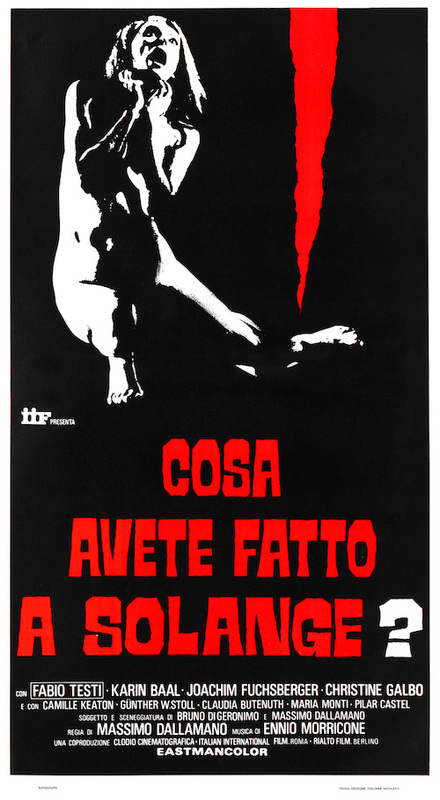 (1972, Italy/Germany) is a Giallo film directed by Massimo Dallamano. It is followed by What Have They Done To Your Daughters? This page was last modified on 23 December 2018, at 14:29.